Icon Guide . . . . . . Equation Guide . . . .
Answer Guide . . . . .
0.1 Experimental Physics . . . . . . . . .
0.2 Lab Methods . . . . . . . . . . . . . .
0.3 Lab Tools . . . . . . . . . . . . . . . .
0.4 Lab Report . . . . . . . . . . . . . . . Worksheet . . . . . . . . . . . . . . . . . . .
Prelab . . . . . . . . . . . . . . . . . . . . .
1.1 Introduction . . . . . .
1.3 The Free Fall Ball . .
1.4 Preparation . . . . . . Guidelines . . . . . . . . . . 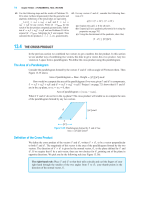 Worksheet . . . . . . . . . .
2.1 Introduction . . . . . . . . . . . . . .
2.2 Vectors in 2D . . . . . . . . . . . . .
2.3 NewtonвЂ™s Laws . . . . . . . . . . . .
2.4 The Force Table . . . . . . . . . . . Guidelines . . . . . . . . . . . . . . . . . . 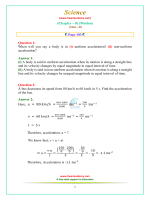 Worksheet . . . . . . . . . . . . . . . . . .
3.1 Introduction to Motion . . . . . . . .
3.2 The Atwood Machine . . . . . . . .
3.3 Deriving the Acceleration . . . . . .
3.4 The Experimental Setup . . . . . . .
4.1 Introduction to Energy . . . . . . . .
4.2 Back to the Atwood Machine . . . .
4.4 The Experimental Setup . . . . . . .
5.1 Introduction to Momentum . . . . . . . . . .
5.2 Collisions . . . . . . . . . . . . . . . . . . . .
5.4 Carts on a Track . . . . . . . . . . . . . . . . Guidelines . . . . . . . . . . . . . . . . . . . . . . . Worksheet . . . . . . . . . . . . . . . . . . . . . . .
6.1 Introduction . . . . . . . .
6.2 Torque . . . . . . . . . . .
6.4 The Torque Contraption . Guidelines . . . . . . . . . . . . Worksheet . . . . . . . . . . . .
7.1 Introduction . . . . . . . . . . . . . .
7.2 Derivation . . . . . . . . . . . . . . .
7.3 Moment of Inertia for a Solid . . . .
7.5 The Rotating Disk: Inertia . . . . .
7.6 Angular Momentum Conservation . 8.2 Density . . . . . . . . . . .
8.3 Buoyant force . . . . . . . .
8.4 Suspended mass . . . . . .
8.5 Geometric Volume . . . . .
8.6 Preparation . . . . . . . . . Guidelines . . . . . . . . . . . . . Worksheet . . . . . . . . . . . . .
9.2 Springs . . . . . . . . . . . . . .
9.3 Pendulums . . . . . . . . . . . .
9.4 Full Correction . . . . . . . . . . Guidelines . . . . . . . . . . . . . . . . Worksheet . . . . . . . . . . . . . . . .
10.1 Introduction to Waves . . .
10.2 Standing Waves . . . . . . .
10.3 Waves on a String . . . . .
10.4 Waves on a Plate . . . . . .
10.5 Preparation . . . . . . . . .
11.1 Introduction to Heat . . .
11.2 Heat is Energy . . . . . .
11.3 The Setup . . . . . . . . .
A.1 Layout . . . . . . . . . . . . .
A.2 Features . . . . . . . . . . . .
A.3 Graphing . . . . . . . . . . .
A.4 Printing . . . . . . . . . . . .
A.5 Further Help . . . . . . . . .
B.2 Unitless Quantities . . . . . . .
B.3 Measured Quantities . . . . . .
B.4 Common Moments of Inertia . B.5 Greek Letters . . . . . . . . . .
was developed by J. David Gavenda and Michael D. Foegelle. Robert Luter, and Paul Patuleanu. the procedures the students must follow have been streamlined. from the previous editions have been used in the 2004 edition. Snyder to accommodate some hardware changes made to labs 3-5 as well as some grammatical corrections. the lab. Appendix C was also added to give the student a reference for units which are used in this lab. and corrections as well as the classes that were the guinea pigs of the new version of Lab 1.
in the first section of the week who again were guinea pigs for some lab changes. all the TAвЂ™s and students who helped find errors in the lab manual. In the 2013 edition, lab 0 was rewritten in preperation of a new version of the manual. In the 2014 edition, the manual was heavily revised and reformatted, and several labs were updated. with individual tutorials for specific programs moved to the website. procedures and the role of experimentation in testing the basic laws of physics. be covered either before or after they are covered in PHY302K. definitions is not very helpful. icon indicates a handwritten page. Include printout: Name of printout в†’ This tells you to include a printed page from lab. Include page: Type of page в†’ This is for handwritten pages (usually worked examples). Include postlab в†’ This reminds you about including a postlab printed at home (every lab). to explain how other equations are derived. There are several kinds of answer blanks. , is usually for a single number and a unit. , expects an uncertainty also. the name used in the manual (a variable, like x or r), and the number with units. вќј Not reading the lab beforehand. вќј Not watching the prelab videos. вќј Forgetting to fill in an answer. вќј Not looking in the appendix for help with Excel or with units. to further help on the labs, such as interactive applets. This also has links to the prelab videos. be accepted as a law. will do some of that in the laboratory course. value is lower than that predicted, and vice versa. error intrinsic to various types of measurement. 7 В± 0.5 mm, as the decimal place of uncertainty and the reading would not match. like phones, will actually display fewer digits to hide this resolution limit). The second reason you may see fluctuations is because something is actually fluctuating. You are still unsure of the exact reading because it is changing. The number of reliably known digits in a number is called the number of significant figures. answer and then write the final answer with the correct number of significant figures. the smallest number of significant figures. the number w with the correct number of significant figures (sig figs). figs, since when adding we match the last decimal place. DonвЂ™t remove digits from your calculator! Keep extra digits until you are done if you can. uncertainty ОґC of the resulting calculated number C = C0 В± ОґC. Thus, the calculated quantity has value C0 = A0 + B0 and its uncertainty is ОґC = ОґA + ОґB. Note that one must be careful when subtracting two numbers. Never subtract the errors. the same final formula for error. so we can safely remove it. Z0 ОґY ) = 1.0 В± 0.1. Now add this to X to get W = 10.0 В± 0.1.
deviations of our results from our theoretical predictions. calculate the percentage error, EV (%), of our result, Vmeas , from the вЂњacceptedвЂќ value, Vaccept . until we understand the source of the large discrepancy. accepted with initial, and measured with final in this formula. 1 J = 1 kgВ·m2/s2 . units, you will lose points! 1. Units can be multiplied and divided according to the laws of algebra. 2. Units that are not equivalent (mass and length, for example) cannot be added or subtracted. Figure 0.1: A closed Vernier Caliper. A Vernier scale is designed by matching two separate scales at slightly different spacing. is used; for it is easier for you to see which set of lines matches than to see lines 0.1 mm apart. matching lines. If the 3rd line past 0 matches a line on the main scale, the vernier reading is 3. Figure 0.2: An open Vernier Caliper. you will find they are fast and easy to read. Figure 0.3: An example graph. graph, and a linear fit line. Title The вЂњvs.вЂќ always indicates vertical axis versus horizontal axis. Labels on both axes Include units. Points Always use distinct points, never use a connect-the-dots form. Fit line We shall often be asked to plot a curve that best fits the data obtained in an experiment. This can be obtained either by hand or by using a software package like Excel. and x to refer to the vertical axis and the horizontal axis, respectively. the equation of a graph with an equation from lab to find the values of the coefficients. where в€†y = y2 в€’ y1 and в€†x = x2 в€’ x1 . where the slope of the curve is v0 = 0.333 m/s and the intercept is x0 = 1 m.
videos. Put down anything you think might help for the upcoming lab. What is the correct way to report d = 0.13724 В± 0.00247m? Given the following numbers, write the answer with the correct number of significant figures. Given the following numbers, write the answer with the correct error and signfificant figures. Now, compute the maximum value that d can be (hint: a should be a = 12 + 2 = 14. Expermiment to maximize d). Do the same to find the minimum value for d.
Now, propogate the uncertanty as seen in section 0. Compare dmax with d0 + Оґd, and dmin with d0 в€’ Оґd. Fill in the missing parts of this graph of d (distance in meters) vs. t (time in seconds). (a) Find its displacement, в€†x1 , during the time from 0 to 1 seconds. (b) Find its average velocity, vВЇ1 , during the time from 0 to 1 seconds. (c) Find its average velocity, vВЇ2 , during the time from 1 to 2 seconds. the first time interval? Think about the shape of the v-t graph. 3. Calculate and insert in the tables below the values missing from the tables in the description of the experiment. of position) and the acceleration of the object (the rate of change of velocity). and vertical components of motion are independent of each other. repetition rate of the webcam will enable us to obtain the time at which each frame occurred. accurately find the position of the steel ball as a function of time. What type of error is introduced by the resolution of the camera? that we know the initial conditions (the velocity, v0 and position, x0 at the initial time t0 = 0). v = v0 + at. of gravity is directed downward, we have the common replacement a = в€’g. At what time during the motion between xi and xf is this average velocity actually reached? A simple method is to take the average of the two times, tf and ti , called the midpoint time. approximation than choosing one of the two endpoint times. 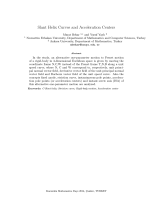 acceleration between the two chosen points. Figure 1.1: Average acceleration example graph. for the average acceleration (1.2.5). direction. Will the acceleration a be different for x and y? vertical displacement y and horizontal displacement x separately for the steel sphere. Figure 1.2: Bouncing ball and webcam setup. In the first run weвЂ™ll bounce the ball and only analyze the vertical component of the motion. t0 and ending time tjmax , we have free fall. Device Settings and choose Adjustments. Under Color, make sure Gamma is maximum (1). The framerate for the camera is set to 30 frames/second. front of the lens to change the focus. Figure 1.3: Proper settings for the sliders in BTVPro. paper at the end of this lab. Number the points on the graph paper to keep track of direction. Use a ruler to measure the positions and record them in the worksheet. both vertical and horizontal motion. YouвЂ™ll need to calculate both v and a for midpoint times, though only on your first dataset. equations from the graphs, and use the coefficients to answer the questions below. Note: Must measure with calipers! Is it different from the actual diameter? Make sure you include the following sheet of graph paper, too, with your numbered points. positive, and the other is negative. how to express two dimensional motion in vector notation. We often use one of three ways to indicate a vector. measure and visualize in 3D. the direction of the arrow indicates the direction of the vector. Vectors do not have a location! in terms of the angle they make with the positive x-axis in a counterclockwise direction. Figure 2.1: An example vector. Two vectors, A and B, are added by joining the tail of the B arrow to the head of the A arrow. with a protractor. Always include a scale. Figure 2.2: Vector addition example. from the beginning to the end. As the crow flies, so to speak. the angle without changing it. and Ay = (3 cm) sin (135вћ¦) = 2.12 cm. So, in all our experiments in Lab. 2, the combinations of forces should add up to zero. have units kgm/s2 using S.I. units. This combination of fundamental units is called the Newton. One Newton of force has the value 1 N = 1 kgВ·m/s2 . Figure 2.3: The force table. contact. In these experiments, the strings all attach to a ring in the center. center, it will be pulled to one side and to a position where the net force is zero. 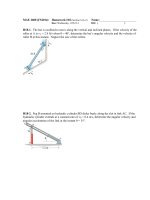 Figure 2.4: A free body diagram. Algebric addition: Adding vectors by adding components. Graphical addition: Adding vectors by placing them tip to tail and measureing. Note that vectors can only be added using one of the discribed methods. You cannot add vectors by adding magnitudes and angles directly. time) to one of the masses and to get the ring to move when tapped (no longer in equilibrium)?. extra mass you can add while still keeping the system in equilibrium. to make the final sum 0. Note: to get an opposite vector, add 180вћ¦ to the angle. it does not move. Write down measured masses. Draw a force diagram, too. the TA blank for your group before starting. use the results of the two string experiment. measured magnitude and direction for any vector sum. How did you calculate this?